The #Empty series has made the rounds on Instagram—no doubt showing up in your Explore feed—a secret society of savvy museum curators pairing up with social media photographers to provide stark, quiet previews of exhibits. The series began with a small group at the MET, gradually dispersing to the Frieze Art Fair in London, the Musée du Louvre in Paris, the MoMA PS1 and the Guggenheim in New York. #Empty continued last week at the LACMA as a small group previewed Pierre Huyghe's retrospective, an exhibit ripe with possibilities of framing. 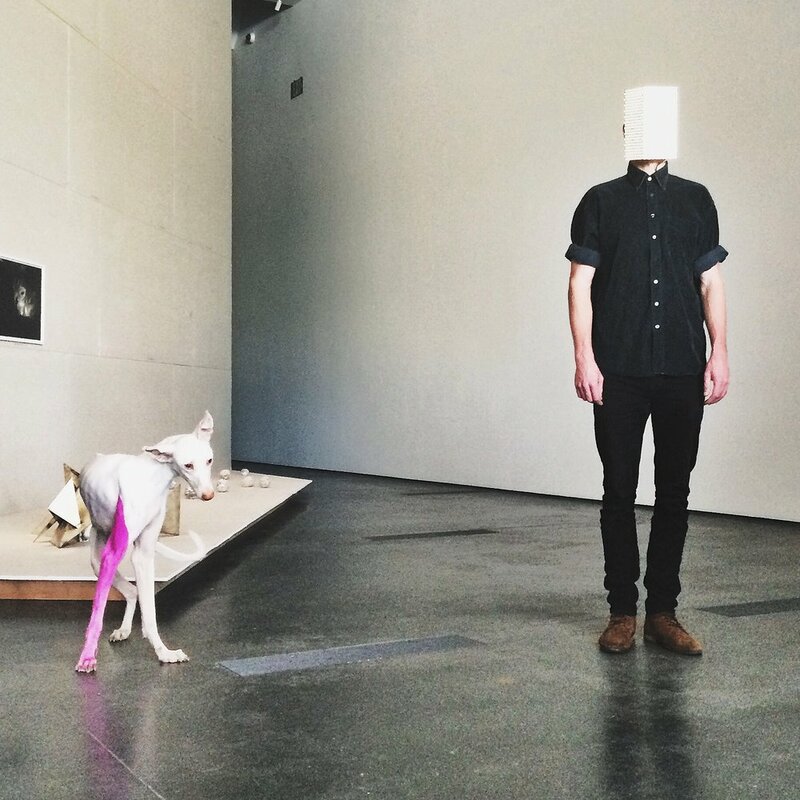 Viewers find themselves led into the space by an indifferent guide, an Ibizian hound named Human—a single stripe of pink running down his right leg—their names announced at the entrance, a large-scale functional video game operating in one of the main rooms. And then everything changes: Human meets up with his masked human handler, the video game becomes a theatre, you suddenly find yourself on a patio gazing at a living statue—one that’s covered in bees—wondering if you're allergic to bees. Like Instagram, Huyghe's retrospective allows for the viewers to control their participation: Like, comment, share, or simply observe—you're still a part of the community. Pierre Huyghe's exhibit opens to the public on November 23rd and shows through February 22nd.